Amaze-Heaters – They Really Do Cost Pennies A Day To Use! 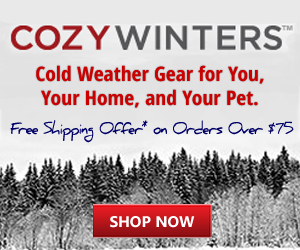 Econo-Heater Review – I Have Used Econo-Heaters For Over A Decade! What is My Energy-Efficient Heater? It’s the Wall Panel Heater – They are Awesome! The Energy-Efficient Wall Panel Heaters really provide the right amount of heat to keep one warm and cost pennies a day to use. Best of all you can turn that thermostat down and have the furnace start far less often in the winter or not start at all depending on the weather! There are days were all you will need are the wall panel heaters to heat your home. The pros outweigh the cons of the wall panel heaters. The Amaze-Heaters and Cozy-Heaters even offer the Easy No Drilling Installation Option! Click here to read more. As site owner…I believe in going green and energy conservation. Over a decade ago I start using Energy Saving Heaters called wall panel heaters to heat most rooms in my home and was quite pleased with the result. Over the years I told contractors, friends and others about these Energy Saving Heaters and was shocked that no one heard of them before. As I still run into people who don’t know they can use these Energy Saving Heaters to reduce their utility bills and energy consumption I decided to make it my mission to let people know that these low cost, safe, easy to use heaters and options for Energy Saving Heaters exist. Thus my site, MyEnergyEfficientHeater.com, was created and I hope what you read here helps you and your family! Save Money on Your Heating, Cooling and Electric Bills. This site’s main focus is the Energy-Efficient Wall Panel Heaters as I have used these heaters for over a decade and these heaters are now my primary heat source. I use these heaters more than my furnace in the colder months and I live in Maine!! I do have them in every room of my home as in the photo on this page. Click here to read the case study. Our site is a resource for Energy-Efficient Heaters and cooling solutions and other natural energy-saving options. Energy-Efficient Heaters include Wall Panel Heaters plus Energy Efficient Electric Fireplaces, Heaters for Power Outages, Gas Heaters and more. Wall Panel Heaters are a great low cost option for energy efficient heating. You can save a lot of money on your heating bills with these energy-efficient heaters. Read our Amaze-Heater vs. Econo-Heater Wall Panel Heater Review. So get a few for your rooms and turn the thermostat down! We also offer options for going green, solar power, energy efficient generators, pet warming and cooling and more. What are the most energy-efficient cooling options? We offer several types from energy efficient air conditioners that are for your window and some portable indoor/outdoor air coolers as well as low cost and powerful Air Circulator Fans. Save Money on Your Cooling, Heating and Electric Bills. Our site is a resource for energy efficient cooling and heating solutions and other natural energy-saving options. What are the most energy-efficient cooling options? We offer several types from energy efficient air conditioners that are for your window and some portable indoor/outdoor air coolers as well as low cost and powerful Air Circulator Fans. Heaters include Wall Panel Heaters, Energy Efficient Electric Fireplaces, Heaters for Power Outages, Gas Heaters and more. A Cool Low Cost Electric Fireplace/Entertainment Center Option For Your Home!